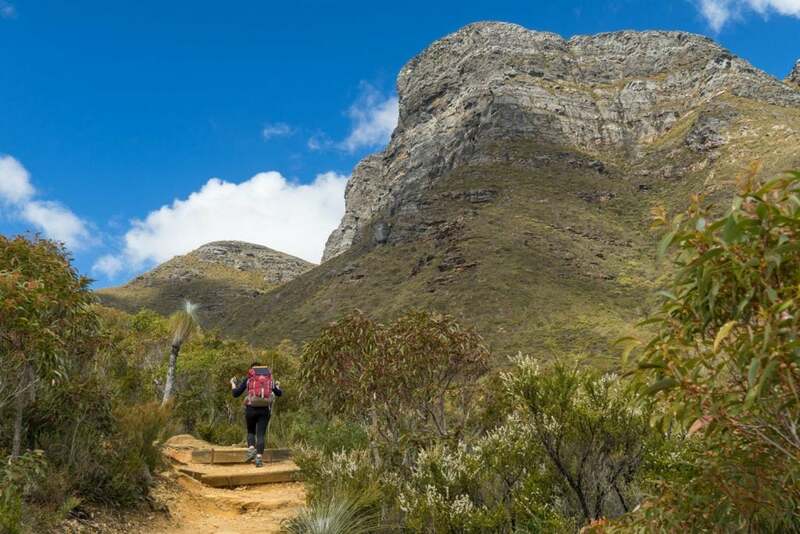 Cameras, iPhones and a satellite phone usually join us on hiking and paddling trips. 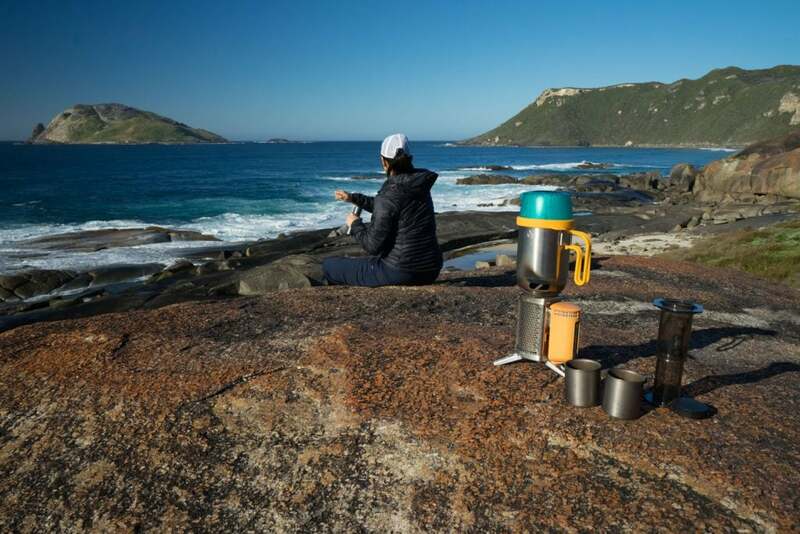 These days you’d think there would be an endless variety of capable options to keep these types of device fully charged outdoors – however we’ve found quite the opposite to be true. 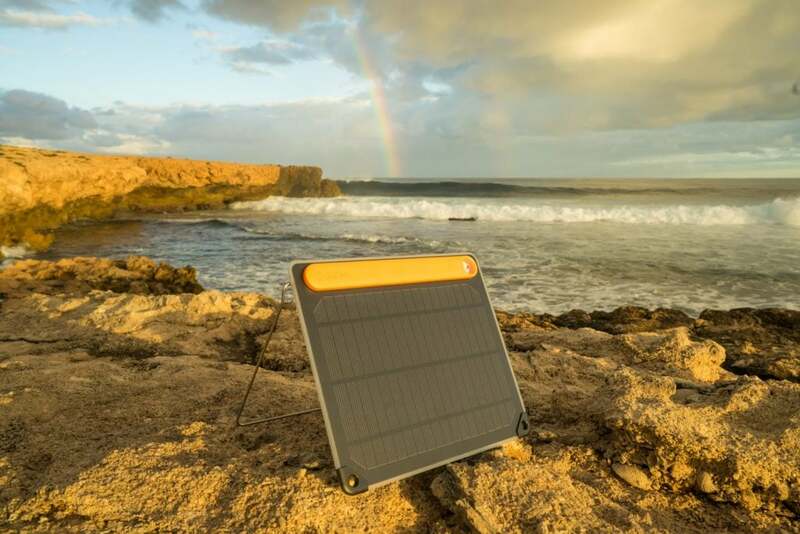 After a few fails while searching for a quality panel (including one panel that came across the Bass Strait without providing a single charge) we were eager to try BioLite’s SolarPanel 5+. We were looking for a decent size panel that would be able to provide a good amount of charge to a variety of devices. For ease we wanted an integrated battery and it also needed to be slim and light for outdoor travel. 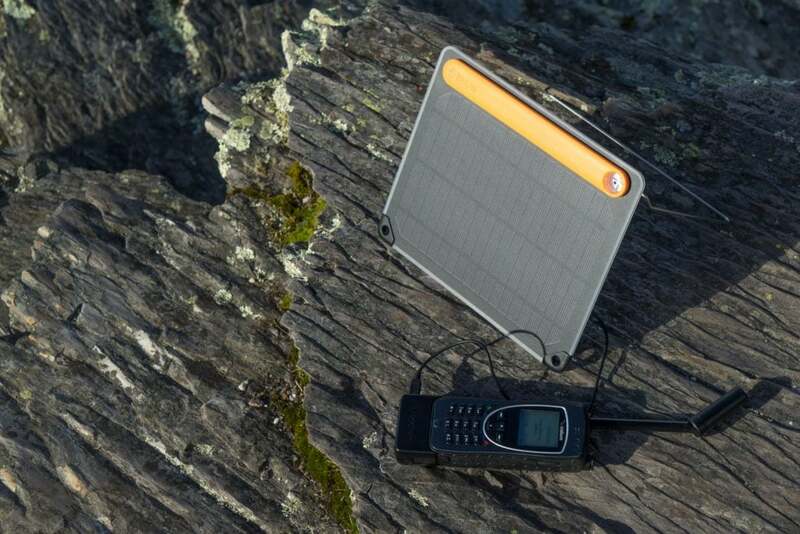 BioLite’s SolarPanel 5+ is a slim 5-watt panel that weighs a mere 390 grams. It’s 2200mAh battery holds plenty of charge and gives the option of charging gear overnight. The panel can also charge equipment whilst it’s at maximum power out in full sunshine. The thin stainless kickstand and sundial help to position the solar panel at the best angle to the sun to optimise charge rates. When hiking we found clipping the panel, by the corners or the kickstand, to the top of our pack meant we could charge and walk. This also meant the hours spent with the battery charging were greatly increased. The panel is also chargeable by mains power, which makes it easy to start every trip with a full battery. The SolarPanel 5+ battery has USB out. We carry the BioLite Micro USB cable for our Sony A7II camera, a Mini USB cable for our Iridium satellite phone and a Lightning cable for our iPhones. As well as outdoor trips we have started travelling with this panel. It’s really versatile and its slimness means it packs neatly beside the laptop. BioLite’s SolarPanel 5+ is really easy to use and so far has been working extremely well for us.